Yes, I want to boost my brainpower by as much as 1000% in less than 10 minutes a day! I want to take advantage of this limited-time special discount and save $80 today! YES, I want to activate my own genius trigger. Please send me Dr. 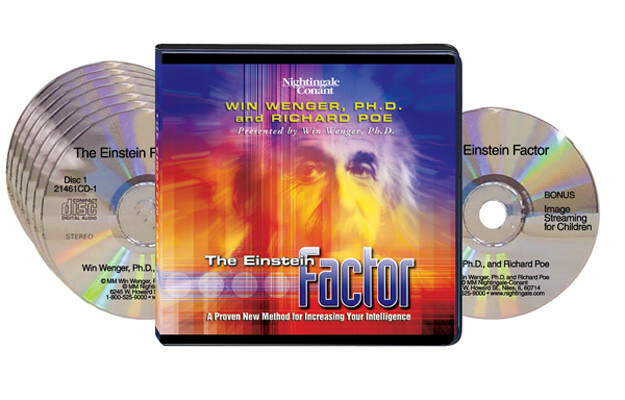 Win Wenger’s and Richard Poe’s bestselling 7-CD audio program The Einstein Factor plus Workbook on CD and Bonus CD for ONLY $79.95 — $80 OFF the everyday retail price! Take advantage of this limited-time special discount now! If I don’t significantly increase my memory, idea output, and creativity, I can simply return the program in the next 30 days for a full refund. No questions asked.